The new hybrid cars may be an attractive fad, but that’s all they really are. A study conducted in 2009 discovered that drivers with hybrid cars will drive as much as 25 percent more than their regular vehicle counterparts, even when their commute times are similar. The problem is that the mentality of hybrid drivers got carried away somewhere, thinking that their cars save them a lot of fuel, so they can drive anywhere and as much as they want. The result, however, is quite the opposite – they end up burning more fuel than drivers with regular cars! This is another quick answer to the question of how you can help the environment, but what really hides underneath it? 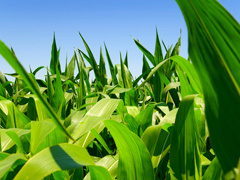 The main biofuel used in America today comes from corn in the form of ethanol. However, everyone seems to be overlooking the fact that growing the corn necessary for its production requires a massive amount of water and a nitrogen-rich fertilizer. Epic erosion has also been reported to be caused by this process. The worst part about this supposed way to help the environment is that it doesn’t even work. Instead of it making cars more energy-efficient, it does just the opposite, since its production requires 30 percent more energy than what it gives in return. So, in the end, using ethanol actually increases our energy consumption! Posted on May 13th under Global Ecology.